Evoking the subject of safety to HR is apparently almost "taboo". It is not considered as a major HR "role" by many, so it is easy to turn a blind eye or a deaf ear on it. 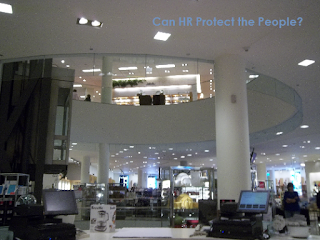 Do most still think that it is not a matter of HR after recent unfortunate events? I previously talked abouth this subject here. It is not one's favorite topic by choice, but it is a sad reality that we have to face as a society, a workplace, and a community of HR. HR and Violence? Can HR Do it All?